Almost everything to do with mental health has been, or is, sharply contested. From appropriate treatments to the language used to describe mental health problems can spark ferocious debate. To date, the majority of the discussions in mental health research are from professionals and academics. We welcome these platforms but are keen for discussions to broaden, engaging both other disciplines in research and other groups, particularly service users and families. Service users and their families typically have less access to resources that will allow for their voices to be heard. 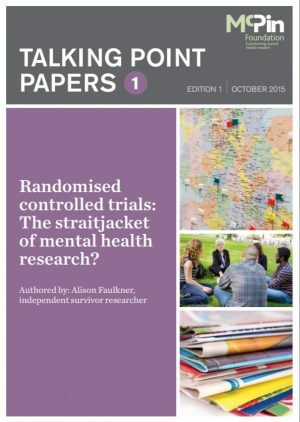 We, therefore, commission Talking Point papers to encourage people with unique and valuable expertise and experience to consider key issues in mental health research, who might not have had the opportunity and platform to do so. Dilemmas and decisions about medication are central to the lives of people with experience of mental health issues. 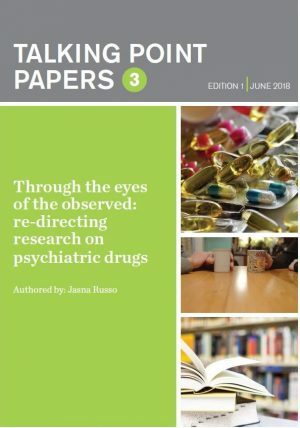 In distinction to some other areas of mental health research characterised by increased efforts towards public and patient involvement – research on psychiatric drugs remains the most conventional in its overall approach. In this paper, Jasna Russo explores whether experiential knowledge can contribute to the knowledge production on psychiatric drugs. Is this field capable of the transforming its conventional ways? Jasna is an independent survivor researcher and consultant; she is a long-term activist in the international mental health service user/psychiatric survivor movement. 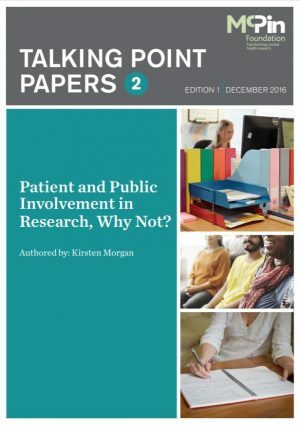 Patient and Public Involvement in Research: Why Not? What do researchers and others think of patient and public involvement in research? Is this is important? Does this make research better? Does the public appreciate being asked to get involved in research? Beneath the surface of their acceptance, do people in the health research sector harbour objections? In this paper, independent survivor researcher Kirsten Morgan discusses what the key objections and challenges to involving patients and the public in mental health are and how we can move forward. Kirsten has been working in mental health research since 2009; involving expertise from experience in research has always been at the heart of her work. Can mental health and distress be measured meaningfully? Are there some interventions for which the Randomised Control Trial (RCT) model is simply inappropriate? These are just some of the questions Alison Faulker answers as well as making an argument for the need to populate the landscape with alternative sources of knowledge and evidence from a survivor researcher perspectives. Alison is a survivor researcher, trainer, and consultant in mental health; much of her work is connected with involving mental health service users in research. Would you like to write a Talking Point paper? The views expressed in the Talking Point papers are not necessarily that of the McPin Foundation, we are facilitating the opportunity and platform for voices that are traditionally marginalised to be heard.